The North American Free Trade Agreement was created 20 years ago to expand trade between the United States, Canada, and Mexico. Its secondary purpose was to make these countries more competitive in the global marketplace. It has been wildly successful in achieving both goals. NAFTA is now the largest free trade agreement in the world. Why, then, is NAFTA so severely criticized? Its success comes at a cost. One of the problems with NAFTA is that it's reduced U.S. jobs. A second disadvantage is that it has exploited Mexico's farmers and its environment. Find out more about how and why NAFTA was created, and whether it has successfully fulfilled its purpose. On September 30, 2018, the United States, Mexico, and Canada renegotiated the North American Free Trade Agreement. The Trump administration wanted to lower the trade deficit between the United States and Mexico. The United States-Mexico-Canada Agreement must be ratified by each country's legislature. As a result, it wouldn't go into effect before 2020. The new deal changes NAFTA in six areas. The most notable impact is that auto companies must manufacture at least 75 percent of the car's components in Canada, Mexico, or the United States. It was 62.5 percent previously. At least 30 percent of the car must be made by workers earning at least $16 an hour. That increases to 40 percent in 2023. That's three times what the average Mexican auto worker makes. Autos that don't meet these requirements will be subject to tariffs. 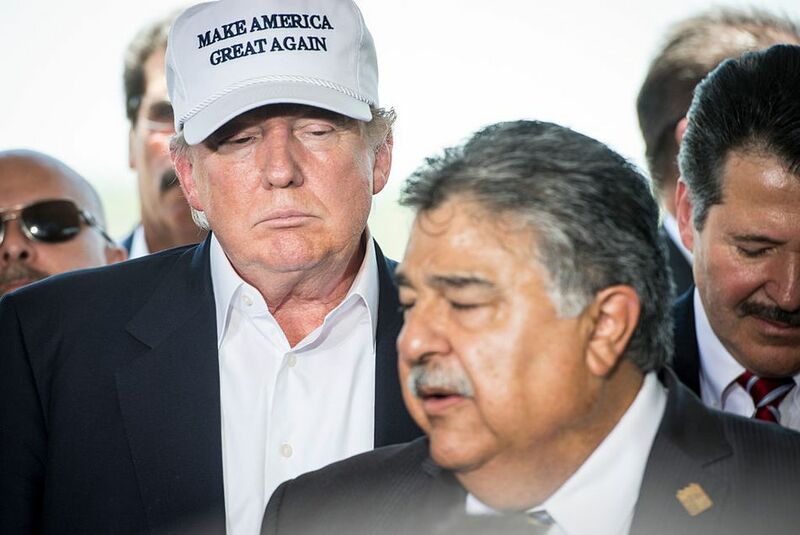 Trump wasn't successful in getting Mexico to cut its value-added tax or end the maquiladora program. In general, Trump prefers bilateral trade agreements to multilateral ones because it improve America's bargaining power. It took three U.S. presidents more than a decade to get NAFTA off the ground. In 1980, President Ronald Reagan campaigned on a North American trade agreement to compete with the Treaty of Rome. The Treaty had laid the foundation for the European Union. NAFTA and the EU's Treaty of Maastricht were completed in 1992. President H.W. Bush negotiated NAFTA, while President Bill Clinton signed it in January 1993. By easing trade between 450 million people in three countries, NAFTA more than quadrupled trade in 20 years. This boosted economic growth in all three countries. It also led to lower prices on groceries and oil in the United States. Grocery prices went down because NAFTA lowers the cost of produce imported from Mexico and Canada. While this means less demand for American agricultural products, there is high demand for lower food prices because food is more expensive every year. Oil prices went down because the United States could now import much of its oil from Mexico and Canada. The elimination of tariffs plus the lack of political tension makes this cheaper than importing from the Middle East. Even though NAFTA increased the U.S. trade deficit, it still benefited the U.S. economy by increasing exports. NAFTA increased imports of the products Canada and Mexico have comparative advantages in. But at the same time, it increased exports of what the United States does best, like services. The great thing about trade agreements is even if a country doesn’t have a comparative advantage in the global market, they can have an advantage among the other countries in the agreement and therefore increase their exports. Growth comes with costs, and NAFTA was no exception. NAFTA is criticized for destroying half a million American jobs and lowering U.S. wages. In addition, NAFTA increased the U.S. trade deficit. How did NAFTA contribute to these problems? First, it cost jobs when manufacturers moved to Mexico to take advantage of lower labor costs. The four states that suffered the most were California, New York, Michigan, and Texas. Before NAFTA, these states had a high concentration of factories for motor vehicles, textiles, computers, and electrical appliances. Those were the industries most likely to move to Mexico. Lower wages in Mexico reduced U.S. wages and benefits. Workers in the remaining U.S. factories could not bargain for higher wages, according to Kate Bronfenbrenner of Cornell University. Companies could now threaten to move to Mexico if labor unions negotiated too hard, as detailed in her report, "Uneasy Terrain: The Impact of Capital Mobility on Workers, Wages, and Union Organizing," published September 6, 2000. Some accuse NAFTA of exploiting Mexico's workers, destroying its farms, and polluting its environment. Rural Mexican farmers could not compete with low-cost American subsidized corn and other grains. The Mexican farmers who managed to stay in business were forced to use more fertilizers and farm marginal land to survive. That created more pollution and deforestation. Labor in Mexico’s maquiladora program was cheap because workers had no labor rights or health protection. Thanks to NAFTA, almost a third of Mexico's labor force works in the poor conditions of these manufacturing jobs. Whenever other regional trade agreements are proposed or negotiated, the facts about NAFTA are brought up over and over again. NAFTA must fit within the context of other U.S. regional trade agreements, such as the Central American Free Trade Agreement, the Free Trade Area of the Americas, and the Middle Eastern Free Trade Initiative.